For the 2018/2019 academic year IHM School has started the new Wheel of WOW program! This positive behavior incentive was created for both teachers and students to reward individuals and groups for a job well done! Students can earn Crusader Coupons that go towards spins on the Wheel of WOW by following our Crusader Care policies or going above and beyond to help fellow classmates or teachers Walk with Jesus. These Coupons can go towards grade level rewards or all school rewards, including Out of Uniform Days, ice cream parties or movie parties! 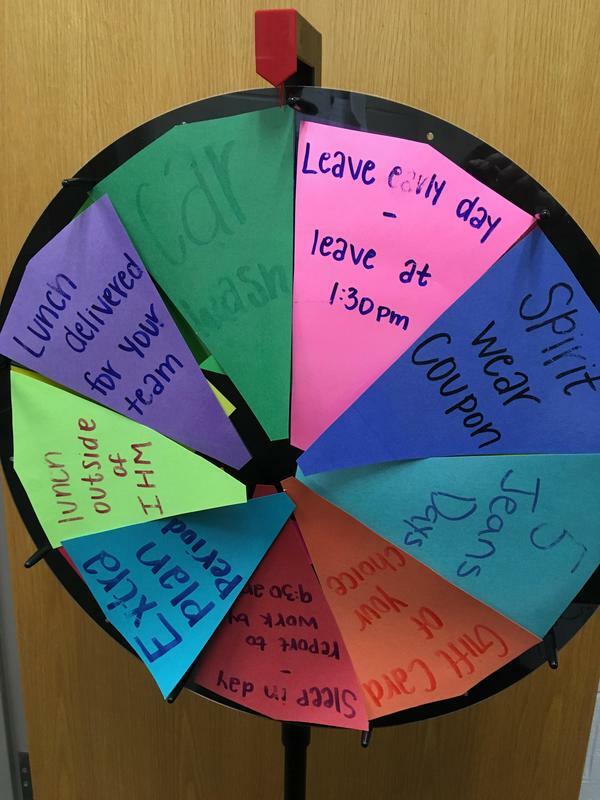 Teachers can earn spins on the Wheel for the reasons listed above, as well as a little birthday treat! Everyone wins with the Wheel of WOW! This new program has definitely brought more smiles to the campus of IHM School!